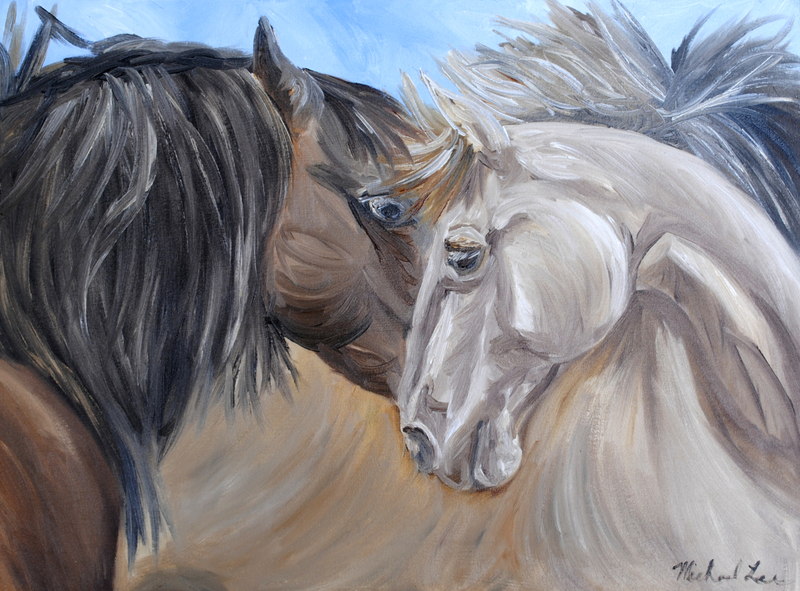 I painted this in my signature style for painting horses. These are two wild horses telling a secret. 5" x 6.75"7" x 9.5"9" x 12.25"11" x 15"13" x 17.5"13.5" x 18.25"